What is mBot six-legged robot? 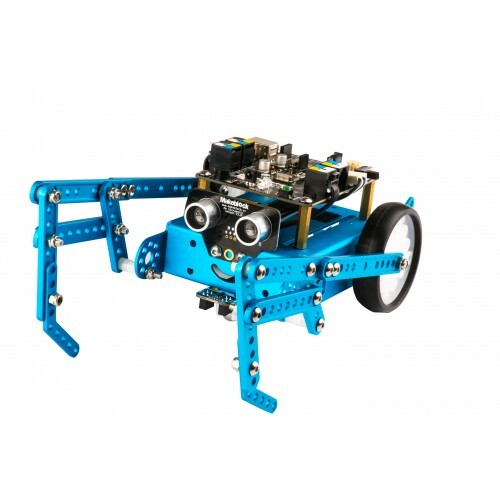 mBot six-legged robot is a 3-in-1 expansion pack based on mBot. You can construct "Beetle", "Mantis" and "Crazy Frog" with mBot and the parts inside the pack. The mBot six-legged robot makes mBot more vivacious and enjoyable. Let's get your six-legged robot move! A six-legged beetle that moves quickly. It turns around and attacks the enemy promptly! It quietly crawls, waving two arms disposedly.